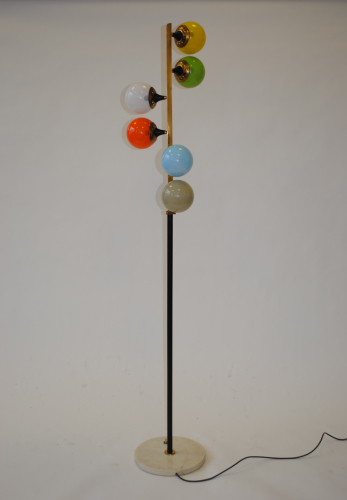 Fantastic floor lamp from Stilnovo, Italy, 1950`s. Marble, lacquered metal rod, brass and coloured glass. Rewired and certified for UK use.